Captain Sally Davis and myself met at The Salvation Army training college back in 1975. We were married in 1977 and have found that we work well as a team. In our several appointments with The Salvation Army we have endeavored to do our best to make a difference in peoples lives. We fulfill that purpose through the various programs of The Salvation Army. The work of The Salvation Army gives us an avenue to realize our call by serving Christ and by serving others. That’s one reason that we love working for The Salvation Army. The variety of programs in The Salvation Army gives us an opportunity to fulfill our calling. Basically by serving Jesus in the day-to-day activities of life and at the same time endeavoring to assist others in practical ways we find purpose, meaning and fulfillment. 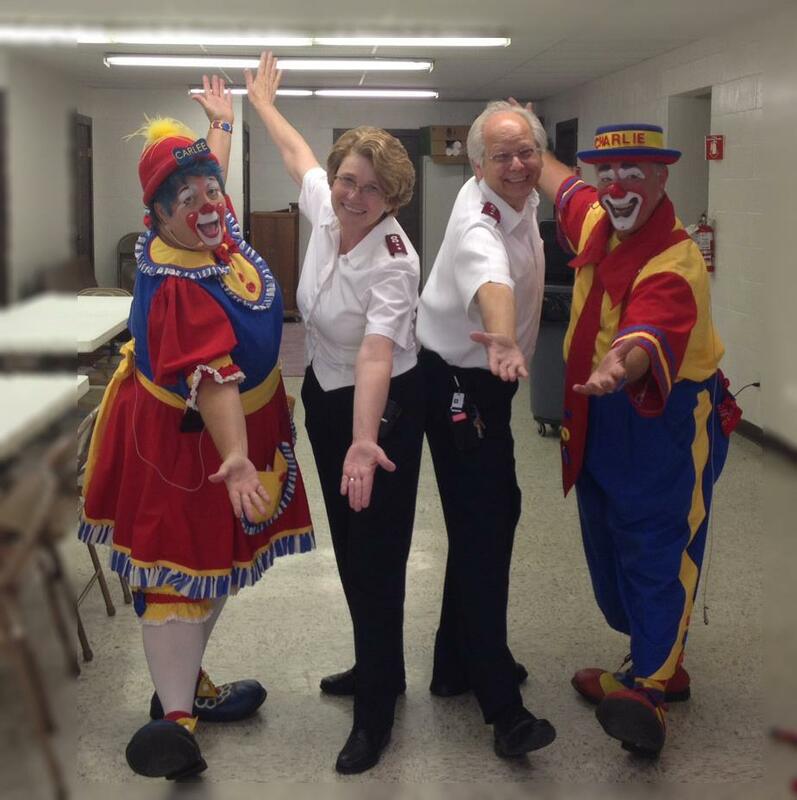 In the past 18 years we have served The Salvation Army in Illinois and in Michigan. We have found that the opportunities are numerous to be of assistance to the individuals and communities that we serve. In Illinois we were able to see the wide range of diversity and yet people still have the common need for meaning and purpose in life. We found many still have the basic needs of food, shelter and clothing which The Salvation Army is able to assist with in many cases. As Sally and I work as a team we find our various gifts, talents and abilities are able to come together to make our service to others become a reality. Captain Sally Davis has some wonderful gifts of administration, also in the area of children’s programs programming, as well as discernment in a variety of areas. These gifts and talents come in handy as we are endeavoring to aid others. Captain Jay Davis finds his calling in teaching and preaching the Bible. He makes it applicable to today and relevant to peoples lives today. He also often helps in the music area of The Salvation Army. Being able to reach people through guitar musical lessons has been one way to reach young people. The Salvation Army where we currently serve in Grand Haven Michigan finds a wide variety of ministries and programs that make a difference in peoples lives. Consequently we are making a difference in the community where we live and serve. Programs like emergency housing, transitional housing, rental assistance, client choice food pantry, Summer recreational daycamp opportunities, free summer meals for those 18 and under, backpacks filled with school supplies for those heading back to school in the Fall, toy distribution at Christmas time, as well as assisted care center visitation are just some of what we do now with The Salvation Army at our location to help encourage people and to make a difference in our area.